*This information is provided by the NC Craft Brewers Guild. Read the original article here. As many of you know, if you have an On-Premise Malt Beverage permit then you can only sell beer on the licensed premise. You cannot sell beer on an unlicensed premise. 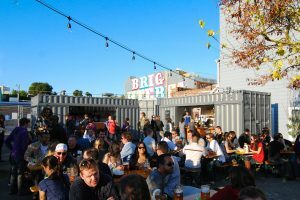 If a brewery taproom wants to hold a special event, but attendance will exceed capacity, you can apply to the ABC for a temporary extension of premises. A temporary extension of premise allows the sale, service, and consumption of alcoholic beverages in areas outside the permanently licensed premise. To apply for a temporary extension of premises, the retailer should bring the application to the ABC at least 30 days prior to the event. A photograph and diagram outlining the licensed premise and the proposed event area must accompany the application.